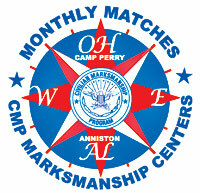 Shooters, including aspiring new shooters, adult and youth, who live in the Camp Perry, Ohio area or Anniston, Alabama area are invited to take advantage of the opportunity to do practice shooting on at the Marksmanship Center air gun ranges. 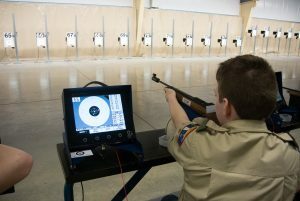 Both 80-point, 10-meter air gun range are fully equipped with electronic targets that accommodate air rifle, air pistol or National Match Air Rifle shooting. All shooters who use the range must complete a CMP Eligibility Affidavit and Liability Waiver (one-time only) and attend a short safety briefing. Those under the age of 18 must have a signed parental consent form, or fill one out at check in. The cost is $10.00 per day for adults, $5.00 per day for juniors (high school aged) $5.00 Seniors (65+) $5.00 Disabled. Shooters may bring their own air rifles or air pistols as long as they are .177 cal. with muzzle velocities of 600 fps or less. Sporter class air rifles (Daisy M853) are available as loaners at the range at no cost. We also have the new National Match Air Rifles available to rent for $5.00. 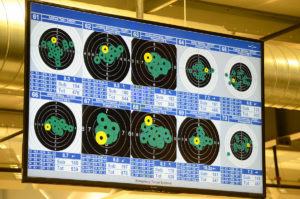 Shooters should supply their own pellets or may purchase them at the range. Open Tuesday & Thursday 5:00PM - 8:00PM. Please direct any questions you have to Lue Sherman at [email protected] or 419-635-2141 ext 707. Open Tuesday & Thursday 4:00PM - 7:00PM. Please direct any questions you have to Matt Carroll at [email protected] or 256-835-8455 ext 415.